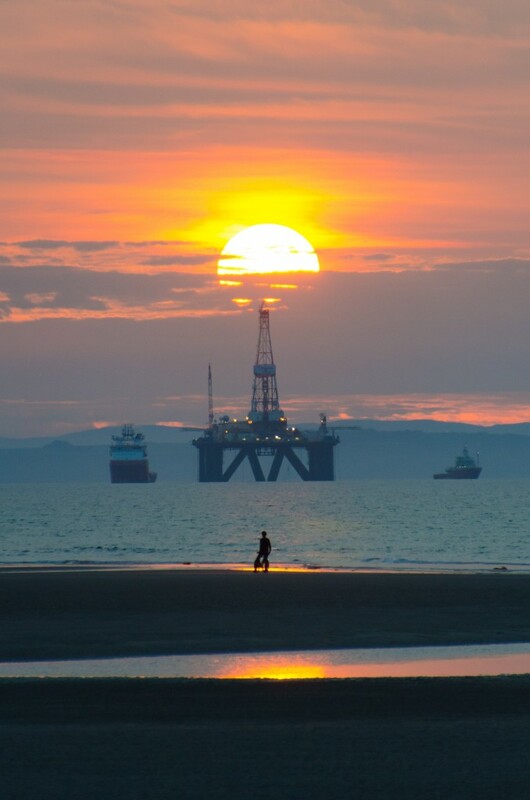 While on holiday in Findhorn (Scotland), a large drilling rig appeared in the bay one evening. While some would consider it a bit of an eyesore, at sunset it took on a new, and quite impressive look. A local cyclist thought the same.